Have you had your wake-up call yet? Have you made the decision once and for all to start living your life the way you always dream about? Last week I announced that I am on a MISSION to help you capitalize on more of your true potential. I thought I’d start by sharing a little bit more about my personal story and how I have chosen to live full out and capitalize on my true potential! …. So here goes…. I remember it was back in 2005 when I had my wake-up call. All of my immediate family moved out of the state I lived in which left me feeling lonely, I finally ended a 3 year on and off again relationship which was empowering on one hand for me yet scary on the other, and I wasn’t fulfilled in my career which left me empty and searching. I just didn’t seem to have any zest or spark in my life. Every day seemed to be lacking fulfillment, passion, and love! I thankfully had my health, financial stability, and wonderful friends which, at that time, was all I thought I had to hang onto. I remember thinking that I couldn’t stay in this slump any longer! Those of you who know me personally, know that I am an upbeat, high energy, and positive person. I wasn’t myself and I knew that a sure way to being unhappy was to continue not being MYSELF! I had to find my true self again and start living into my true potential. I knew there had to be a way, but I had no idea where to start… but I knew I had to get off the bench and START. Not really knowing exactly what I wanted, I aimlessly started seeking adventure. 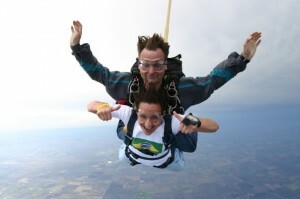 I first choose to express the daredevil inside by going skydiving! This was something that made my heart race and gave me a sensation of what it felt like to be in my body again. I could actually FEEL butterflies in my stomach and I was sporting a smile from ear to ear! It felt great! I felt ALIVE! After the rush of the skydive, I knew I had birthed a part of me that was READY FOR MORE! Sure I loved the rush and excitement of skydiving, but it didn’t give me a lasting feeling of fulfillment even though it did create an experience for me that was amazing and that I’ll never forget! … And so I continued on my search for lasting fulfillment, passion, and love! I learned from the skydiving adventure that it was fun and all, but I was looking for something that was going to be a greater commitment and a bigger part of my life. So what did I decide to do next?? 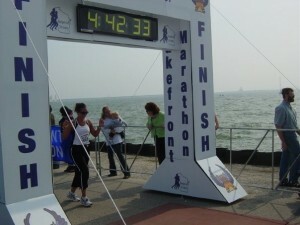 I decided to run a full marathon… which actually turned into two full marathons! Crazy, I know!! I didn’t really know what I was getting myself into. As strenuous as training for a marathon can be, running was something that gave me a great feeling of strength, stability, excitement, and passion. If I could, I’d run all day long! Who knew running could be so fulfilling?! I fully committed myself to my training and was rewarded for my efforts. I fell in love with it! I gave up my Friday nights so that I could wake up early Saturday mornings and go run 16 miles! Ha! I was surprised as the next guy to how much I fell in love with it, how dedicated I was, and how much of a difference it made in my life. It was like it filled this whole in my mind, body, and soul! For the next two years, running did it for me! I could take to the road for hours and be in a state of bliss that words couldn’t explain. While I was at this high in my life, I began to seek greater fulfillment in more areas of my life. I knew if I could find such a love and passion in running, that I surely should be able to find it in other areas as well. I knew there was more potential to be fulfilled! One of main area I was concerned with was my career. As much as I worked with a great team of people for an amazing organization, I knew it wasn’t my calling. I was a Web Administrator for 8 years and all along it felt like a “job” and honestly, I wasn’t all that great at it either. The amazing friends I made and the great companies I worked for made it difficult to even entertain the idea of leaving and doing anything else. However, my heart told me it was time to seek out my true calling in life. 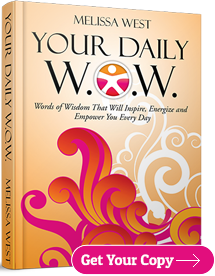 After being introduced to the ground-breaking book and DVD, The Secret, the Law of Attraction, human potential and development, and other personal growth information I KNEW I had found it!!! Every cell in my body came alive when I was talking about, studying, reading, or even thinking about this type of material! I had NEVER felt like this before!! I had this crazy thirst and hunger for this information that I found myself putting hours and hours of my time and energy into learning all that I could get my hands on. I thought to myself, “There has got to be a way to make a living out of this!” I went on to be coached, certified, and hired by Bob Proctor, one of the teachers from The Secret. It changed my life! I was now on a path of fulfilling a part of me that had never been fulfilled! I never knew I had so much potential and so much to offer! 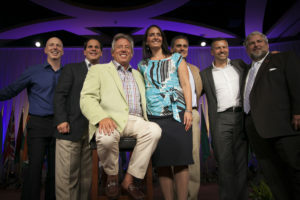 Paul Martinelli, my wonderful mentor and coach, once told me that “Melissa, You have IT. You have the IT-factor!” I knew in my heart of hearts that I was finally exactly where I needed to be professionally! 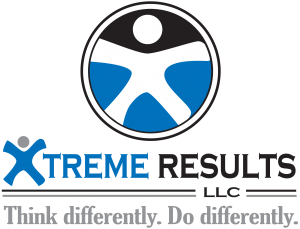 Xtreme Results, LLC was born and the rest is history! I look back on that time in my life and see how ready and willing I was to capitalize on my potential. I was ready to receive more fulfillment into my life. As I continued on my journey, I now really knew that I was on a roll and that life was getting brighter and brighter for me. I truly saw and experienced the power of following my heart and letting go of this lame idea that life was meant to be difficult and unfulfilling. After about a year into my business I grew “home-sick.” Not home-sick like I was far from home, but home-sick like I missed my family. My sister is my best friend and it pained me to be so far away from her. She lived on the east coast in North Carolina and my parents had retired and now live in Brazil. I now had 2 nephews and 1 niece so it made it really hard to not be present in their lives. I was still living in Wisconsin and the annual visits and the webcam conversations just weren’t cutting it anymore. I contemplated moving to North Carolina to be closer to my sister and her family, but it made me scared and nervous to even think about. I couldn’t imagine leaving all my friends and a city that I had grown up in. Wisconsin was all I knew and I had never lived anywhere else. Sure I visited many places, but never lived out of state. I prayed and I prayed and I asked for guidance. I asked for the answer. In March of 2009, within the same week, a colleague of mine’s 13 year old daughter died and then another good friend of mine’s Mom died. 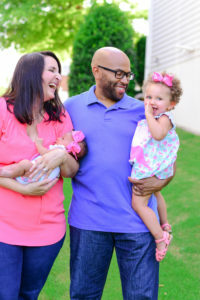 I immediate thought, “Life is too short to be this far away from my family.” I decided that day I was moving to North Carolina to be closer to my family! August of 2009 my bags were packed and I moved across country into my new home in sunny North Carolina! Now there is nothing better than having my 2 year old nephew run into my arms and give me a bear hug every time I visit now. It’s hard to believe that just a few years ago I only saw them 1-2 times per year and now I see them 1-2 times per week!!! Ahhhh, life is good! to ask me to be part of the John Maxwell Team. If you don’t know who John C. Maxwell is, just google him or walk through an airport and you’ll see a few of his New York Times best selling books. He’s the #1 Leadership expert in the world and has written over 70 books! And now I’m getting the opportunity to work along side him as a Faculty member on his team and serve thousands of people worldwide in helping them pursue their dreams with passion and build their coaching businesses! Pinch me!! I couldn’t have been more ecstatic for this opportunity to work along side some of the best of the best in the industry! It truly was a dream come true! I served day in and day out for 5 years on that team and I learned a ton about business, leadership, communication, and most importantly how amazing and truly valuable all people are. 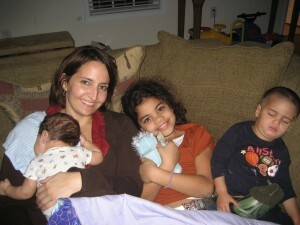 While I was thriving in my career, I longed for my personal life to thrive just as much. I needed a life outside of just my work. As much as I absolutely loved what I did for a living, this girl needed a personal life! My Brazilian blood needed to go out dancing and have some fun! So I took up salsa dancing. I would take lessons a few nights a week and little did I know my future husband would be out there on the dance floor. I met my husband, Chris West, at salsa event. He asked me to dance, I melted in his arms, and the rest is history… We got married on July 6, 2013. We now are the extremely proud and grateful parents of two precious girls. I can say full heartedly that my life is soooo great, even though it’s FAR FROM PERFECT and when I look back I see that it wasn’t easy at all. Someone once said, “Those who do what is easy, live a hard life and those who do what is hard, live an easy life.” I see it took my commitment and dedication to want to CREATE a life that I dreamed of. It didn’t happen by accident! I wasn’t willing to settle. I was ready and willing to make the decisions that needed to be made and do the work required to manifest the results. 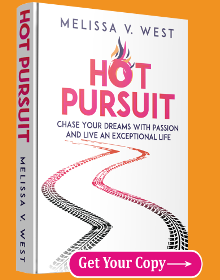 I wanted to capitalize on my potential and create a life that brought me fulfillment, passion, and love! My life may be great, but it by no means easy-sailing and perfect. I choose every day to play full on and fulfill more and more of my true potential. Keep Living With Passion My Friends! Wow, great you are sharing this!! Its so true: life too short to stay stuck in a place you don’t want to be. And it takes quite something to get out of it. It is awesome to read such a fulfilling story. Apparently millions of people need to be coached by you so they can get the push and encouragement to get out there and follow their hearts dreams. No one is going to hand you your dream job so stop wasting time and make it happen yourself! Your stories are always so inspiring Melissa. I am looking forward to learning from you.